Bring your photos or drawings to life by making a flipbook; it’s like having a homemade movie in your pocket! “Movie” is short for “moving picture”, and one of the first ways people made movies, long before the invention of film, was with flipbooks. It’s a great way to bring your photos or drawings to life. Download our simple flipbook template to plan out your flipbook, print or draw the images, then flip through and take a look! Remember that the movies you see on TV use about 24 images every second. 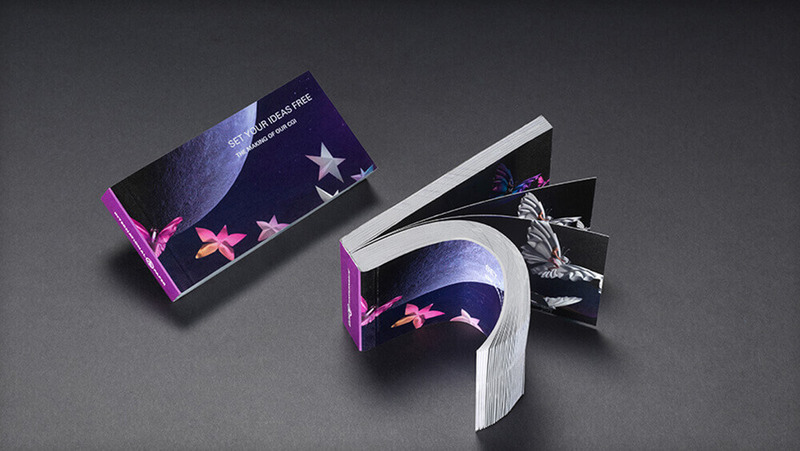 Most flip books use between 5 and 10 images per second. More drawings of smaller movements make a more fluid motion. The speed of the action depends on how fast you flip through the book. Start with something simple, like a stick figure or simple shape so that you can see how it works. Once you’ve got the hang of it, you can do more detailed drawings, or even use photos. Working from the back of the flipbook up towards the top makes it easier to see what you need to draw to make the action work. When you work on the next drawing, you may be able to see a little show-through of the drawing you just finished, and that can help guide you on what to do next. As you go, make sure the images are moving the way you want them to. Don’t be afraid to change your ideas as you work– you can get some fun, surprising results if you let the images inspire your imagination. The more time you spend on it, the more likely you will be happy with the results.